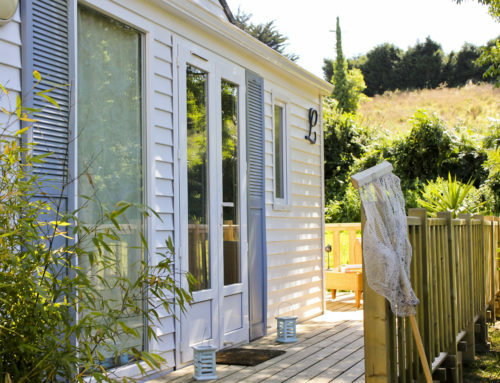 Camping Baie de Terenez has the advantage of being adjacent the Côtes d’Armor department, brittany, of rich culture and superb architectural heritage and natural country in France. Its pink granite coast is home to the village of Ploumana’ch, said the favorite French village in 2015 and his famous monumental rocks of pink. Magnificent building a boisterous, he located in the town of Lanvellec, above the Bô valley which gave its name to the castle Roz year Bo, Bo on the promontory. It was built to keep out the northern invasions in the fourteenth century and a hundred years later, a Gothic mansion adjacent to the first building was erected under the leadership of Genevieve Coskaër Rosanbo, last heir of the line having its ground Rosanbo . She married the family Le Peletier, creating an alliance between the Breton nobility of old stock and the Parisian aristocracy. This line will be one of his descendants the granddaughter of the famous Vauban, the daughter of Tocqueville, the famous historian and daughter of Malesherbes, minister of Louis XVI. But this one will fail to get Louis Le Peletier Revolutionary claws: the family was guillotined including the brother of Chateaubriand, married to Aline Rosanbo and the castle was abandoned until the return of the descendants, Alain Marquis Rosanbo that after work the field open to the public in 1958. The original building compounds the medieval castle and manor, will be extended to establish a closed court. Work will begin at the end of the seventeenth century and ended in the nineteenth century. 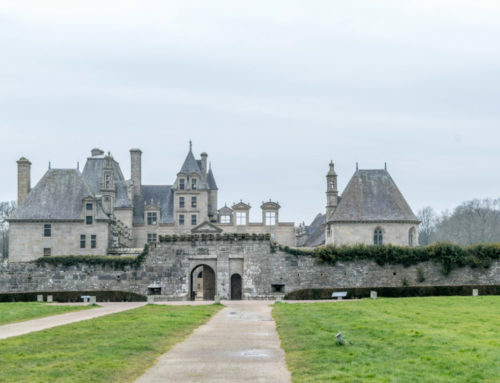 The tour takes visitors several iconic pieces such as the kitchen, the guard room and living room as the dining room, the lounge or the library decorated with the tapestries of Gobelins. The peculiarity of this area is that it has never left the family Rosanbo and its related by marriage alliances, its walls echoed with the voices of a number of famous people. 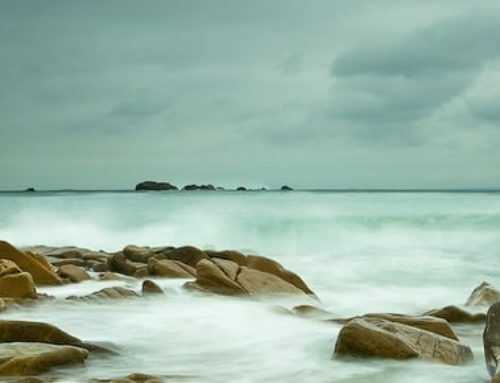 Ploumanach a village of exceptional beauty ! After about thirty km, you reach the pink granite coast, between Perros-Guirec and Trégastel. 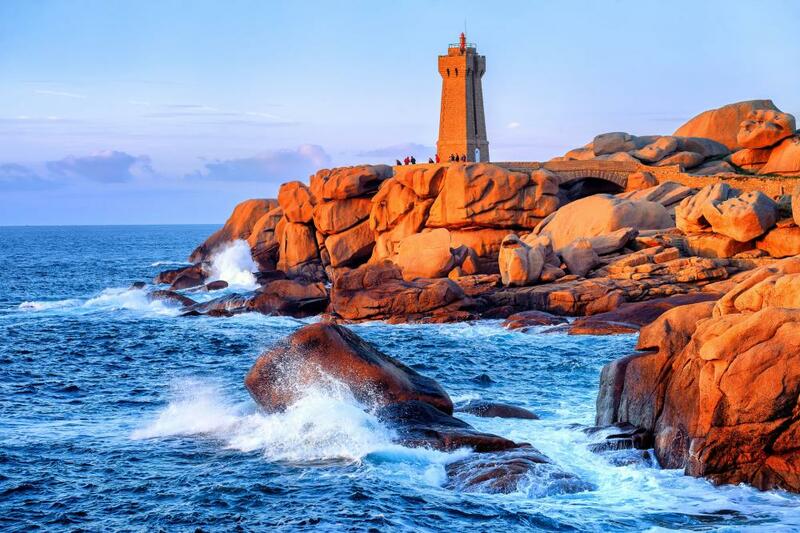 Ploumanac’h is famous for its pink granite rocks that plunge visitors into a fantasy world. These imposing stone piles sculpted by the combined onslaught of wind and sea for over 300 million years, give this natural site unique beauty. The rocks have surprising and original names like “Napoleon hat”, “mushroom”, “the gate of love” or “female flower”. The unique color of the rock due to the combination of three minerals present in the granite: mica, feldspar and quartz. Facing stone giants some of which are over 20 meters high, is the castle of Costaérès that merges with rocks providing additional size to the site. 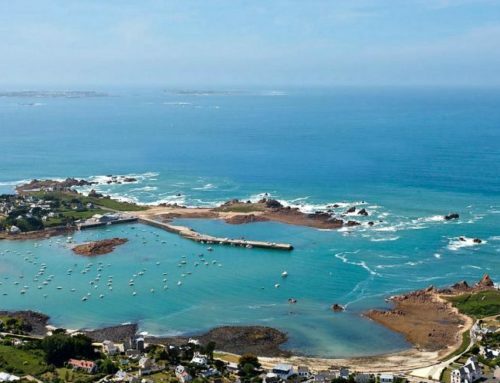 This exceptional feature shared by the beaches of Trestraou and Saint Guirec, covers 25 hectares and attracts tourists from around the world. The site, National Heritage is a must for your stay in the region. 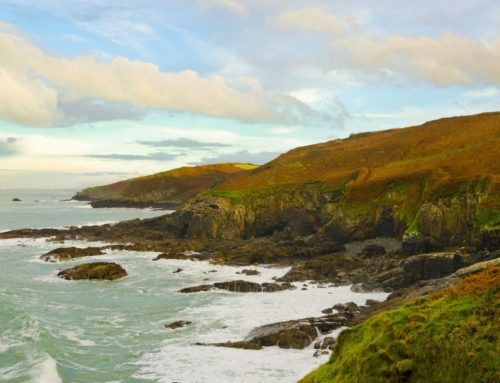 It takes 1/2 day to browse the coastal footpath that runs along the coast starting at the beginning of the afternoon, you can watch the evening sun set that ignites a beautiful orange whole panorama. The village of Ploumanac’h, small busy port in the high tourist season is bordered by beaches to the desired charms. Another 30 km more and you can visit the city of La Roche Derrien in ancient times was an important crossroads in the Gallo-Roman communication network. This small town character, built on a rocky outcrop overlooking the RIA du Jaudy which will meet twice a day the sea and the river. This is probably why for a long time the city was called the city “bridge” before calling the Roche Derrien, named Juveigneur who had built a castle in the eleventh century, now gone, dismantled when Britain succession wars. Many remains bear witness to the rich past of the medieval town: Old door Maladrerie, Pillory Square, place du Martray … The streets of the lower city were the territory of dressers and roofers while high boasts houses built between the fifteenth and seventeenth century. The church recalls his majesty the rich past of this stronghold of Tregor and its strategic position in Brittany coveted. As for the chapel of Calvary, built in place of the old tower, dating from the twelfth century, it offers breathtaking views of the Bay of Jaudy. La Roche-Derrien makes a tranquil and soothing walk along the alleys and shopping streets full of a glorious past. On the way back after twenty kilometers, discover the castle of Tonquédec complete your tour in eastern countries of Treg. This castle, a major testimony of military architecture of the Middle Ages is also an ideal place to discover daily life in a castle from the twelfth to the sixteenth century. It presents today a unique architectural ensemble, with eleven towers, two towers connected to the main building by drawbridge. In the north the high court, vast esplanade which hosted the noblest parts of the castle and its dependencies, was defended by a small castle with a now disappeared drawbridge. In the South there is a front yard surrounded by thick curtains. With advances in artillery, they were built beyond the original walls of the castle. For over forty years of consolidation and archaeological excavations are carried out to preserve the site classified historical monuments. During the summer, an entertainment program daily and historical reconstructions are proposed by local associations mixing demonstrations of craft skills of the time, tales, medieval markets and shows. 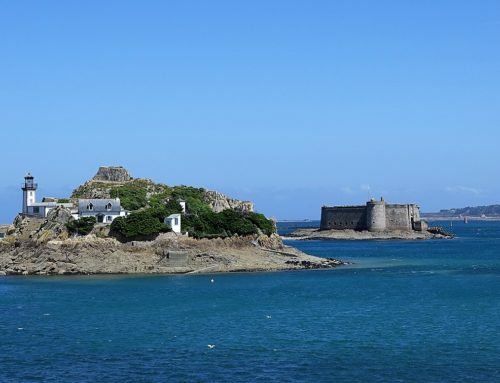 Your tour countries of Côtes d’Armor and ends after an hour’s drive you can reach your campsite, with happy memories of his wonderful landscapes, live emotions going through historical sites full of the great history of Brittany. We have proposed this circuit can be achieved in a day or divided into several days escapades as desired. Book now your pitch or mobile home at Camping Bay Terenez and enjoy this exceptional heritage.